How does the 2018 Mazda CX-5 Lane Departure Assist system work? 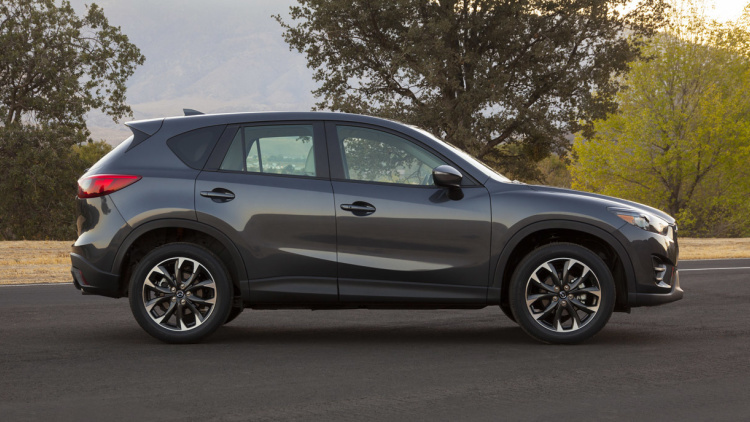 The 2016 Mazda CX-5 is now arriving to Maple Shade and Turnersville Mazda, and our South Jersey and Philadelphia customers will be excited about the updates and improvements! While the 2016 Mazda CX-5 retains its award winning style and distinctive SUV looks, the 2016 updates will enhance exterior design, quality and functionality, comfort, quietness, and safety. The 2016 Mazda6 receives the following refinements to enhance and accentuate the design. The front grill design has been modified to create a design that is bolder and tauter with horizontal fins painted metallic gray. The headlamps adopt a redesigned interior layout and new LED option with the Technology Package. The rear combination lights get the LED option with the Technology Package. Also offered are new designed 19” aluminum wheels with machining that highlights a look of three dimensionality. Plus now you can get the eye-catching design of the Mazda CX-5 in two new colors; Sonic Silver Metallic and Titanium Flash Mica. The 2016 Mazda CX-5’s dynamic performance has been polished to deliver greater driving quality and pleasure. This year updates include the suspension system, we have created a new structure for the front and rear dampers and optimized the bushing shapes for the lower arms. Further updates to the NVH sound deadening create a more comfortable cabin environment. Cabin noise at highway speed has been reduced by approximately 10%. 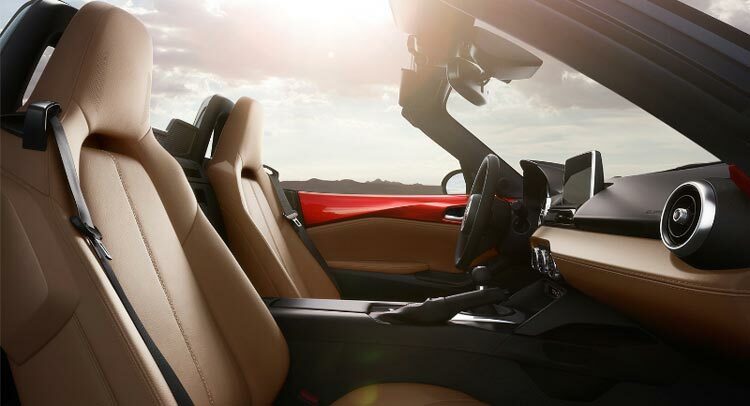 Improved front and rear seat structure provides a feeling of comfortable snugness, a good fit and excellent holding characteristics and comfort. The length of the rear seat cushions was extended providing the occupant a more supportive, relaxing, natural seating position. The SKYACTIV-DRIVE automatic transmission now adopts a Drive Selection, Sport Performance Button which allows drivers to switch drive modes for a more responsive driving experience. Mazda’s renowned AWD system is also updated and real world fuel economy has been further improved in all 2.5l engines. The 2016 Mazda CX-5 offers a new higher quality restructured interior that improves functionality and offers new advance technology. With a new redesigned center stack and floor console that evoke that upscale look and layout and provide improved functionality. Now equipped with the Mazda Connect System which when paired with a Smartphone makes it easy to take advantage of advanced functions, including connectivity and access to social networking services. The use of an Electronic Parking Brake provides the floor console with a cleaner and uncluttered look. The new layout also provides increased storage space, capacity and options. Are all systems to keep the driver more aware of conditions around them so they may enjoy driving with greater reassurance? * Vehicle must be a 2016 Mazda CX-5 Grand Touring w/GT Technology Pkg. to be able to order the i-Activsense Systems to keep the driver more aware of conditions around them so they may enjoy driving with greater reassurance?